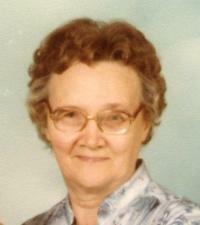 It is with sadness that we announce the passing of our dear mother, grandmother “Oma” and great grandmother, Margaret. We are comforted knowing that she’s now with her Lord and Saviour. Margaret was predeceased by her eldest son “Appie” in 1950 and her husband, Norman in 1997. Left to mourn her passing are her children Tim (Betty), Gerben (Francien), Augusta (Fred), Albert (Darlene) and May (Pete); 19 grandchildren; 34 great grandchildren; sister, Truus; and numerous nieces and nephews in Holland. We would like to thank the many friends she had in Edmonton for their kindness and who gave her so much joy and happiness. The family would also like to thank the devoted staff at Barrhead Shepherd Care for their compassiate care. A Memorial Service will be held on Saturday, September 22, 2012, at 11:30 a.m. at the Trinity Christian Reformed Church, 13427 – 57 Street, Edmonton, AB.